The Let’s get wild – an European Wilderness Society school project in cooperation with Austrian National Parks supported by the BMNT, is a project focusing on increasing the understanding of students about the National Park System, Climate overheating, ecological balance and the mutual respect for each other. More than 1200 Students participated already in the workshops. 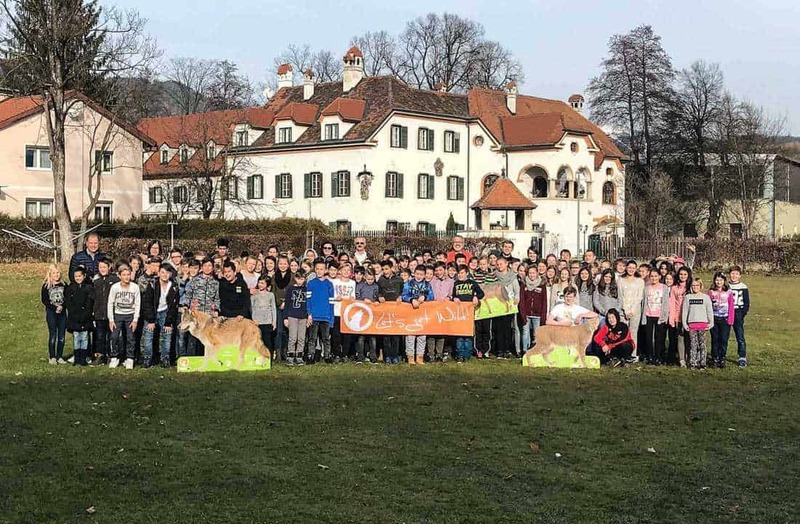 The Lets get Wild workshop is designed for at least 3 school lessons and is offered in English and German to pupils ages 11-17 and their teachers. The workshop uses an interactive, non-formal and bilingual teaching style supported by various powerpoint presentations, activity materials, posters, full-size realistic animal cut outs, footprints, branches gnawed from beavers, action games, videoclip of Gudrun Pflueger´s personal close encounter with wolves plus RAP videos from other environmental musicians. The Let’s get wild also asked the students to write and perform a RAP Song focusing on the workshops contents to win several prices. The amazing Baba Brinkman, a New Yorker educational rapper, will supervise the final RAP competition and will also hold RAP workshops at the winning celebration. The winners of the RAP Song competition will then be invited to experience first hand the beauty of Austria´s National Parks. The first Wilderness RAP Videos have been submitted and can be viewed on our Youtube Channel.